Description: Please join us for a seminar, entitled “Spiritual…But Not Religious”. 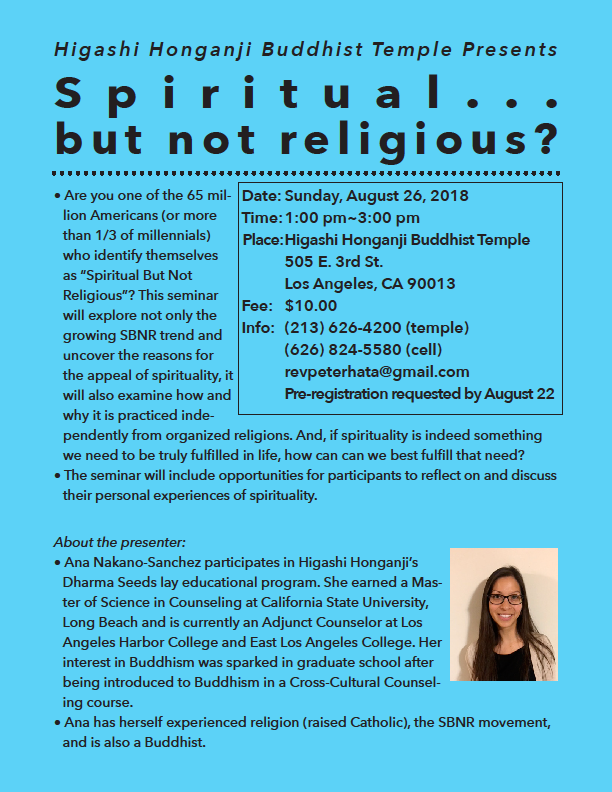 The seminar will be presented by Ana Nakano-Sanchez, a participant in Higashi Honganji’s Dharma Seeds lay educational program of Buddhism. The fee for the seminar is $10. Pre-registration is requested, but walk-ins are acceptable, too. Please refer to the posting below for details.